If you’re a fan of the weird, then you might be interested in checking out Quentin Dupieux‘s films. Of the six listed on IMDB, I’ve watched Rubber, Wrong and Wrong Cops. They’re wonderfully absurd and stimulating. 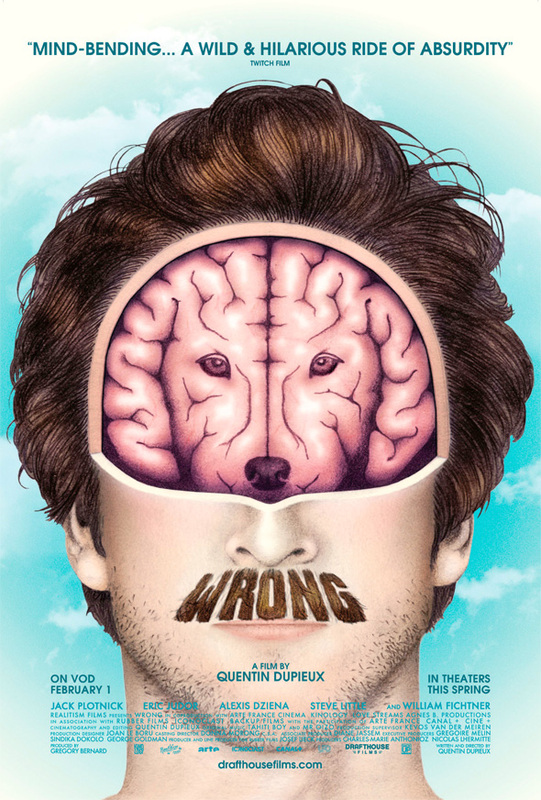 The weakest of the three, Wrong Cops (2013) relies a little too much on a “bro” comedy aspect. That said, at 83 minutes, it’s not hard to watch the entire film. 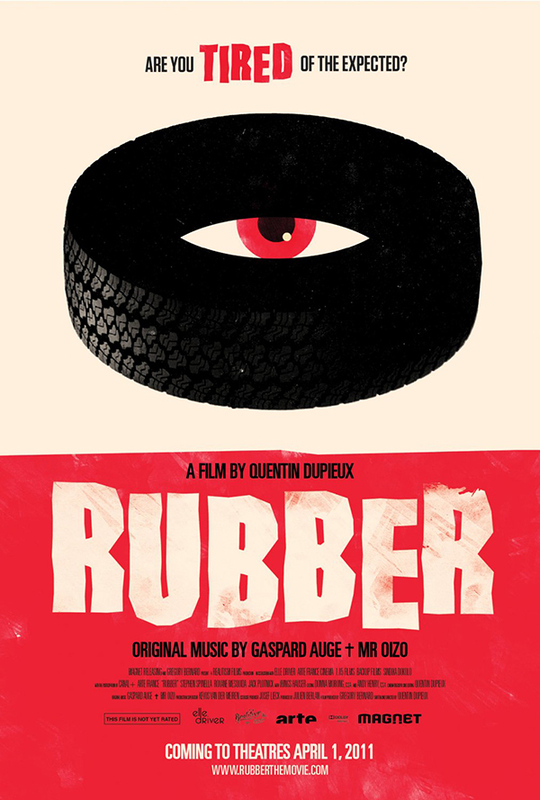 Rubber allowed me to experience joy akin to that of watching early David Lynch films as a teenager. Robert, an inanimate tire that has been abandoned in the desert… suddenly and inexplicably comes to life. As Robert roams the bleak landscape, he discovers that he possesses terrifying telepathic powers that give him the ability to destroy anything he wishes without having to move. (apple. If I were handing out “Amy Approved” awards, this would get one for most-oddly-charming-independent-film; best unidentifiable-accent-high-lighted-by-ponytail would go to William Fichtner. It’s really very heartwarming.